After a slight delay due to some TreeSync/FamilySync issues, MacKiev has announced that Family Tree Maker 2017 for Mac and Windows will be released on Tuesday, April 4th, 2017. Late Friday night, a few worrisome beta test results on the last leg of our testing gave us pause and with a deep breath we stopped the clock to carefully check them out. Some weren’t real, but others were. So we’ve made new builds and it appears the fixes were successful, but we’re going to continue testing to be sure. And while we could probably ship any time now, we’ve decide to redo the stress tests on Monday, consult with Ancestry engineers, and ship on Tuesday. In the meantime, sync is off but Ancestry’s agreed to leave hints, search, merge and maps running until FTM 2017 is released, so you can continue your research. I haven’t received my link yet. Am I to understand that there is a charge to having this FTM 2017. Will this replace how sync. is presently provided between Family tree maker & Ancestry. Why the charge if it is to be? 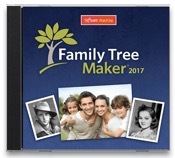 Right now, FTM2017 is still in beta testing, but I think it will be available very soon – see my notes here: https://www.macgenealogy.org/2017/05/03/update-on-family-tree-maker-2017-may-3-first-impressions/. There is an upgrade fee – you will need to go through the MacKiev website – http://www.mackiev.com/ftm/ for more information. AS far as the change in sync, I mentioned it here – it will be changing. From my understanding, Ancestry.com has needed a new syncing capability for years, and keep in mind that this will be used by RootsMagic as well (there will be an update later this spring for RM that adds syncing with Ancestry.com).